Our Thanksgiving guests left yesterday, officially bringing the holiday to a close in our house. I both despise and enjoy the post-holiday cleanup. It’s a bummer to say goodbye to family, but nice to be able to pee with the door open again. I find that the post-holiday cleaning process offers new opportunities to enjoy what remains from the festivities. Like when you risk life, limb and listeriosis to make one final dent in the gobs of leftovers still sitting in your fridge. 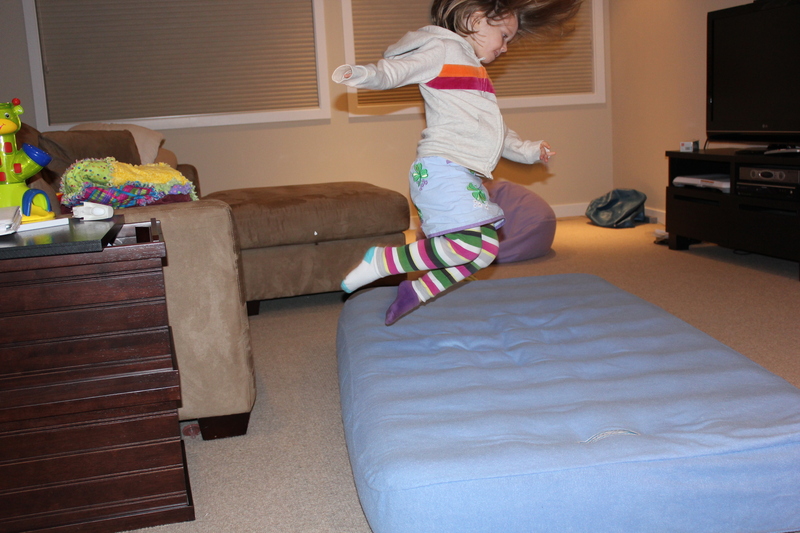 Or when you delay packing up the air mattress your sister slept on so your kid can use it as a trampoline. So many sharp corners. Next time I’ll make her wear a bike helmet. Or when putting away the remains of your nephew’s Diet Coke supply, you try a can for the first time in 10 years and discover, OMG THAT STUFF IS DELICIOUS. Even if it does make you blind. 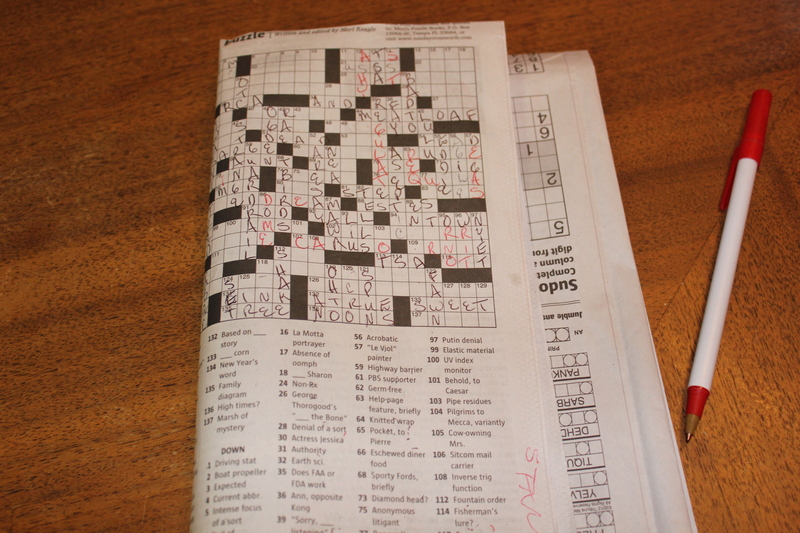 Or finding random evidence that your mother has been in your house, like a) her unfinished crossword puzzle sitting on the table. 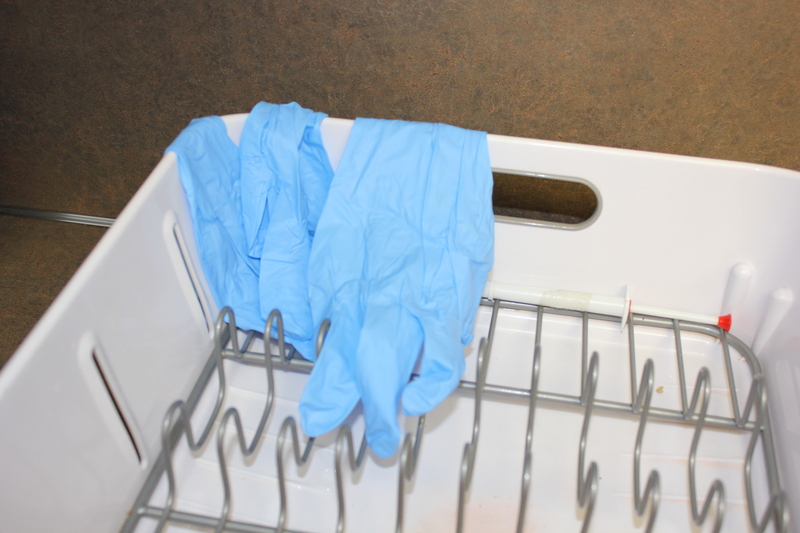 And b) the latex gloves she brought and left in your dishrack, which have an eery serial killer quality to them. Seriously, why not rubber gloves? What is she hiding? 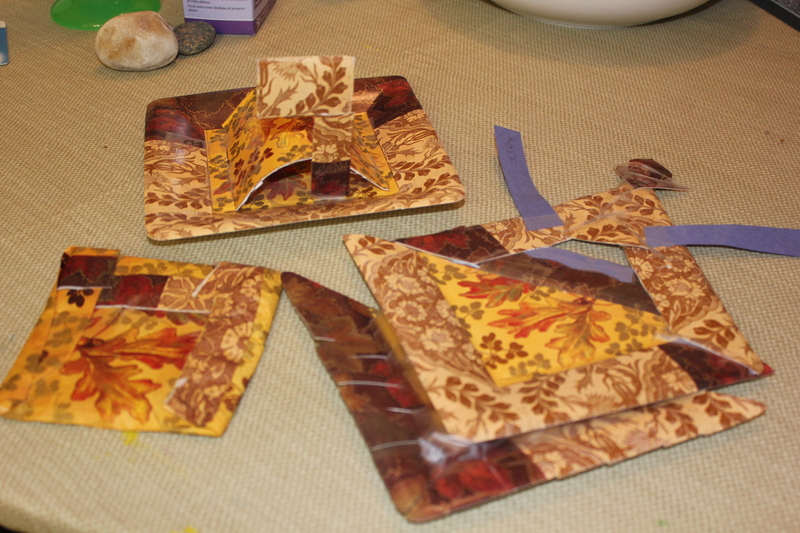 Or discovering that the decorative plates and napkins your mother purchased for the 27 cheese-filled appetizers you consumed have now been used by your 4-year-old for craft projects. 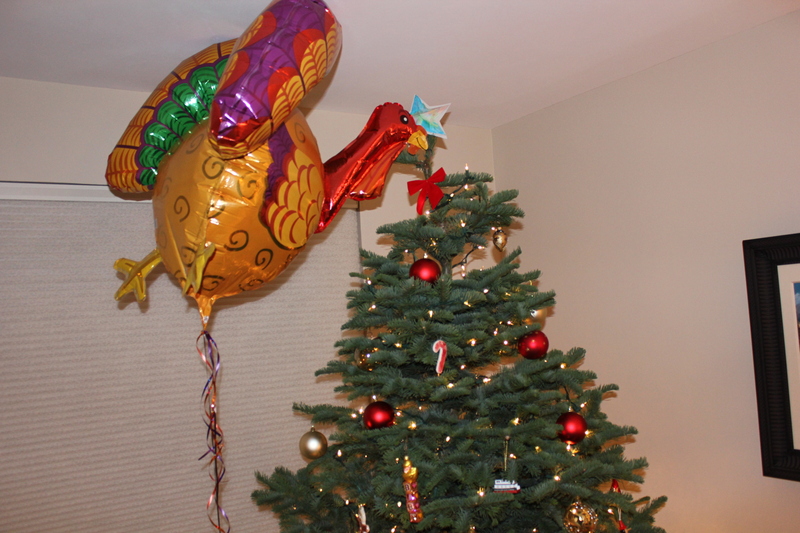 And when you are finally finished cleaning, and beginning to enjoy your Christmas decorations, you realize there is one last Thanksgiving reminder that may haunt you for weeks to come: the oversized turkey balloon your mother purchased for your kids, which shows no signs of coming down anytime soon. I’m tired. Will someone please come and do my Christmas shopping for me? 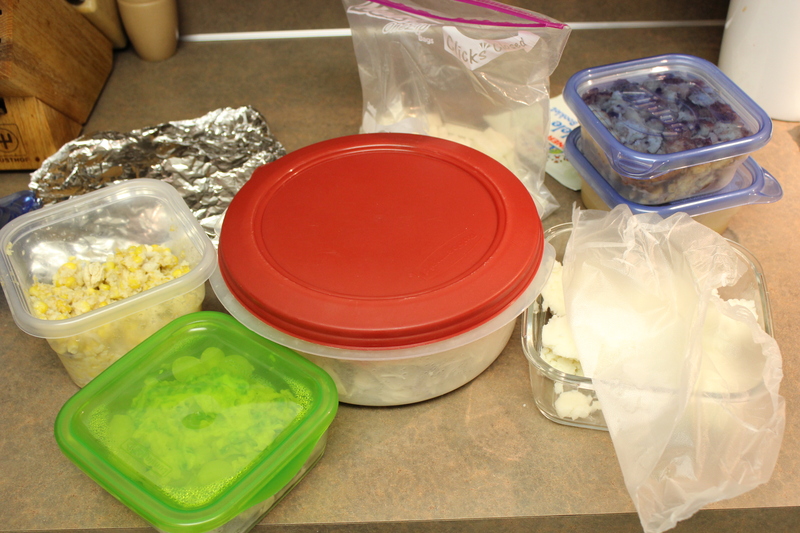 This entry was posted in Uncategorized and tagged Diet Coke will kill me, Thanksgiving by BananaWheels. Bookmark the permalink. 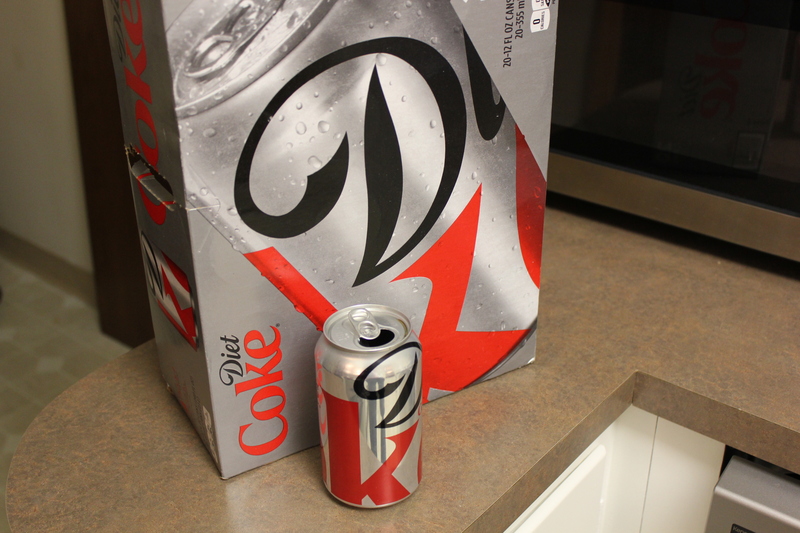 And you’re going to be peeing with the door open again…a lot…with that new Diet Coke habit. If it makes you blind you can’t see the turkey balloon. Win-win.